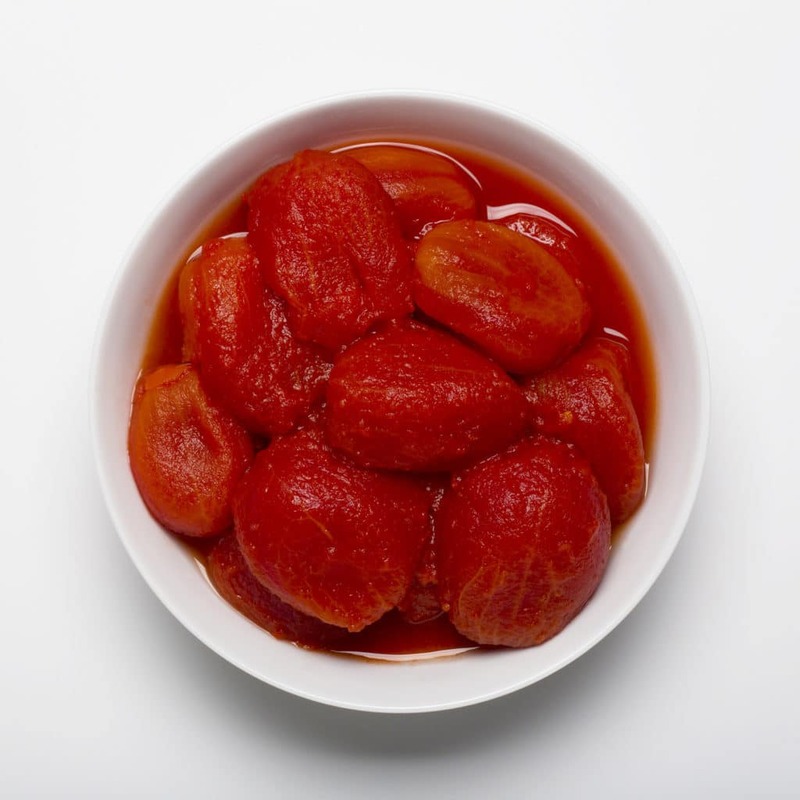 Choice organic fire roasted pear tomatoes in juice shall be prepared from organic pear tomatoes (San Marzano Italian Style) that have been washed, hand sorted for quality and fire roasted over an open flame. Sea salt, citric acid and calcium chloride are added for flavor. Organic fire roasted tomatoes, organic tomato juice, sea salt, calcium chloride, citric acid.